Tacoma native Lane Smith’s ties to soccer in the South Sound date back to his days as a player at Lincoln High School. 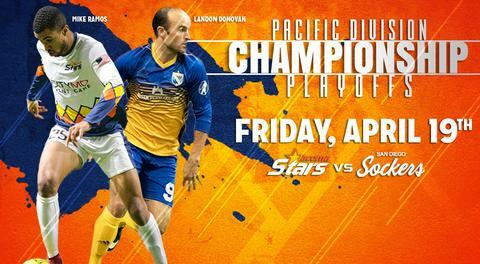 His passion for the sport fueled his decision to purchase the rights to the Tacoma Stars branding and logos in 2014, and was involved in the team’s rise to the Major Arena Soccer League that same season. Lane’s contributions to soccer in the South Sound include partnering with Seattle Sounders FC to establish successful player development franchises such as Sounders Women and Sounders U-23. He currently serves as lease holder and benefactor of the non-profit Tacoma Soccer Center. Outside of his work on the pitch, Lane serves as the Chief Financial Officer and co-owner of Datec Inc., a well-regarded and locally owned enterprise infrastructure provider, systems integrator, and IT professional services company. After spending four seasons as the Director of Safety/Security and Game Day Operations for the Seattle Sounders F.C. U23 and the Sounders Women, Lance Larson has joined the Tacoma Stars as the Director of Team Operations. In this position Lance works closely with the coaching staff and players in the day-to-day operation of the team and is responsible for team logistics. 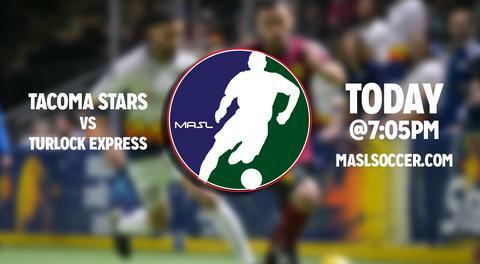 Lance acts as a liaison with other MASL clubs and provides coordination and scheduling in support of the Tacoma Stars management mission to ensure all league operational requirements and regulations are met. Chris works with the team at all trainings and gamedays to make sure that both the home and visiting teams are set up for optimal performance and comfort. Chris comes onto the Stars for a second year and is extremely detail oriented making sure we provide a great environment for all players that come into contact with our club. Brandon Sparks is the founder and General Manager of the Western Indoor Soccer League's Oly Town Artesians and owner and operator of Olympia's Sports Page, OlySports.com. A native of Olympia and a graduate of Bowling Green State University in Bowling Green, Ohio, Brandon is the voice of Shelton High School football on Newsradio 1030 AM KMAS and the voice of Saint Martin's University men's and women's basketball. He worked in media relations and marketing for the Grays Harbor Gulls, Elmira Pioneers and Rio Grande Valley WhiteWings baseball teams and for the Seattle Supersonics and Storm for four years. Outside of sports, he worked for the e-Commerce departments of Archie McPhee and The Coffee Bean & Tea Leaf. He currently resides in Olympia with his biggest supporters, his wife Angie and his two daughters, Addie and Rory. John studied Broadcast Journalism at Green River Community College and Washington State University, and is currently employed with the City of Olympia. He is also part of the KMAS radio high school football broadcasts every Friday night, serving as the Broadcast Analyst or the past four years. Growing up in the South Sound, John attended numerous Tacoma Stars games in the Tacoma Dome and is excited to be a part of the upcoming Stars season. Erik Waterland, DPT was born in Tacoma and raised in Gig Harbor, Washington where he graduated from Gig Harbor High School. Erik next attended Tacoma Community College and was then recruited to play soccer at Huntingdon College in Montgomery, Alabama where he graduated with a degree in biology. He was on athletic and academic scholarships at both colleges and captained both of his teams. Finally, he earned his doctorate in physical therapy from The University of Puget Sound. Erik has been a fan of soccer from an early age, beginning organized play himself at the age of five. He has been playing recreational soccer in the Tacoma area consistently since that time. A childhood fan of the NASL Sounders and even more so of the MISL Tacoma Stars, Erik is both excited and proud to be a part of the current Stars organization. He has been working with the team in its various leagues and levels since 2010. His primary physical therapy practice is in north Tacoma and focuses mainly on orthopedic and sports injuries. Christine Harris-Spinks, MD is a board-certified physician in family medicine and primary care sports medicine who specializes in the non-surgical care of sports injuries and the prevention of exercise-related injuries. Dr. Harris-Spinks completed a sports medicine fellowship at the University of Colorado, where she served as a team physician for the Buffaloes football, volleyball, and lacrosse teams. A Washington native, Dr. Harris-Spinks completed her residency training, medical school, and undergraduate education at the University of Washington. She has served as the team physician for the Huskies ice hockey team and provided medical coverage for numerous local events, including the Seattle Marathon and the Windermere Cup. Joshua Johnston, MD is a board-certified orthopedic surgeon specializing in adult joint reconstruction with a focus on total hip replacement and complex revisions. He is also board-certified in Orthopedic Sports Medicine and specializes in arthroscopic surgery of the hip, knee, and shoulder. Dr. Johnston completed a fellowship at the Santa Monica Orthopaedic and Sports Medicine Group, which is a FIFA Centre of Medical Excellence, where he served as the team physician for the L.A. Galaxy and Chivas USA Major League Soccer teams, the U.S. Men’s and Women’s National Soccer Teams and the Pepperdine University and Santa Monica Community College athletic departments. Dr. Johnston is a member of the American Academy of Orthopaedic Surgeons and the American Orthopaedic Society of Sports Medicine. Robert Stalder, DC is the co-owner of Tacoma Chiropractic Center with his wife Cessalie Stalder, DC. As a California native he attended California State University Fullerton before obtaining his doctorate degree from Southern California State University of Health Sciences. He relocated to Tacoma Washington in 2001 to join the Franciscan Medical Group at St. Joseph Medical Center to provide chiropractic care in a multidisciplinary setting. He’s been in private practice since 2009 in Tacoma where he enjoys working with and being part of the Tacoma community. In keeping a balance between chiropractic care and other activities, Dr. Stalder enjoys coaching his children’s baseball and soccer games, boating, hiking, skiing and just about anything outdoors. Among his personal achievements are several marathons and Ironman Triathlons. He believes that regular chiropractic care and massage therapy have helped him stay fit during training and competitions. He is excited and privileged to be a part of the Tacoma Stars Medical Staff Team. Bronson Young, LMP is a Licensed Massage Practitioner, practicing since 2013, and is the top requested therapist at Yuan Spa in Bellevue, WA. Previously, he worked as a LMP for a medical clinic specializing in minimally invasive spine surgeries. As a structural and functional restoration specialist, he worked closely with L&I and personal injury patients, both pre and post-surgery. 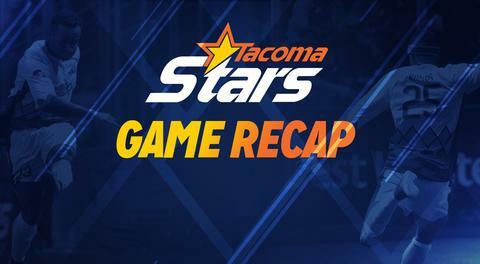 Since 2016, Bronson’s services have been an integral part of the health, rehabilitation and well-being of the Tacoma Stars, and he looks forward to many seasons in the future. For additional information regarding the Tacoma Stars 2017-2018 season, please call 1-844-STARS-84.